E-commerce Networking Home Based Business Opportunity MLM Network Marketing Nutrition Health. Step 1 - � Identify 5 business builders for your 1st level, teach each builder to do 100 IP** of products monthly. Step 2 - Teach each builder to sponsor 5 (100 IP builders). Step 3 - Teach builders to duplicate Steps 1 and 2. **IP is International Points. Example: Our Basic Everyday Pak (100 IP), costs US$122.50. 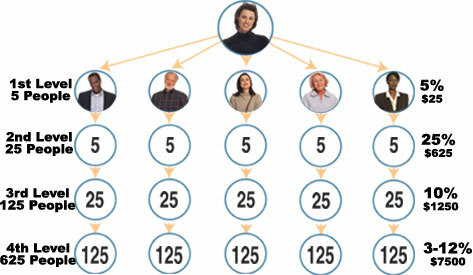 Step 1 - Identify 5 business builders for your 1st level, teach each builder to do 100 IP** of products monthly. Teach each builder to also create 500 IP referred customer volume. This example does not include all commission payments available. Ask about our complete compensation plan for details. *This is ONLY an example. Of course your income would depend upon your efforts, qualifications and how you help those you have referred. Now you can get paid even more! Life Plus wants to reward you for your personal efforts in referring members who order, so they put 1% of the total sales each month into a bonus pool. If you referred 3 new members who ordered this month, you would have 3 shares in the bonus pool. That's extra income, in addition to your normal commissions. *Ask your sponsor for details.